Hello Michael! It’s been a while. I’m so happy to interview you today. 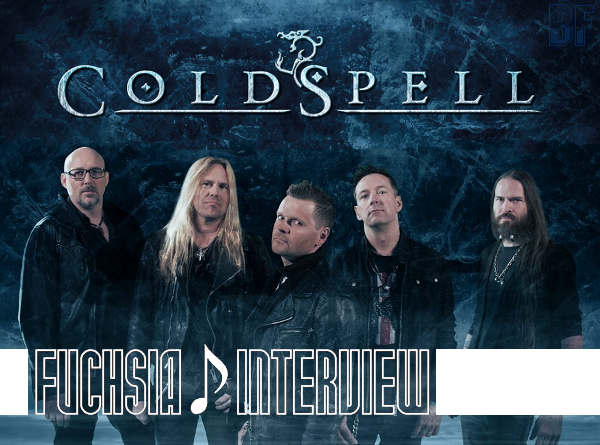 I believe COLDSPELL had the US tour in 2012 and you guys have just came back from the MELODIC ROCK FESTIVAL in Chicago, US. Did you feel any differences on their reaction between the US audience and European’s? こんにちは、マイケル！久しぶりですね。 今回あなたにインタビューできて嬉しいです。 確か COLDSPELL は 2012年に US ツアーを行い、今回は シカゴでの MELODIC ROCK FESTIVAL から戻ったところですよね。 米国とヨーロッパの観客の反応の違いとかって何か感じましたか? Hi Fuchsia, yes long time no see and Im so glad to do this interview. Yes we had a great time in Chicago as well the last fall too. That’s a tricky question but the US audience is louder and is maybe a bit more enthusiastic but otherwise it’s the same all over, if you're a COLDSPELL fan, you're a COLDSPELL fan no matter where you live. As you mentioned on facebook, you seemed enjoy American foods/drinks during this tour. Tell us what your favorite you have ever is. Haha, oh my god that’s every one's impression that we just eat and drink all the time, well I guess that’s how it is, lol! Have to say that US is an amazing country and people are very interested, concerned and make you feel welcome and with that I guess food and drinks taste even better. 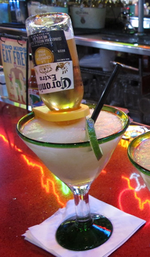 I guess our favourite since Chicago is the Beergarita – Margarita with a Corona on top, haha! Your third album “Frozen Paradise” was released this year, and it is acclaimed from worldwide media just as previous albums were. I know you wrote a lot of songs for the album. How did you select all tracks? Yeah I guess the whole idea from the beginning was to make that huge backpack of songs and ideas a bit lighter for me and there are stuff for a number of more albums too. When started workin on this new album I knew what direction I wanted this new album to go for and I had about 18 songs and ideas to choose from. Felt like it would be a bit heavier album with maybe some more variety in songs , you know when it comes to tempo and keys and all that. And I think the new songs match the earlier albums and hopefully this new album feels like the right way to go with COLDSPELL. It could be what ever I’m up to when a riff, words, melodies come up in my always so busy head, haha! I have my moments when I’m more creative and I could say that many ideas comes up when drivin or as you said, when I’m at our country house and am soooo relaxed. What is a moment when you feel the real thrill of doing a band? That must be when a new album is done and you are about to play these new songs and realize that they sound even better when doin it live, that’s a nice feelin! Studio and album is one thing but when all 5 elements get together playin and the chemistry is 100%, that’s awesome indeed. I guess you have some influences at least from great bands and artists. Who do you think is the most influenced you? By the way, you play as a guest on a track “Rain Of Tears” of LOVER UNDER COVER debut album “Set The Night On Fire”. What do you think of appearing as a guest player on other album? Will you do that again in a same way if requested? Oh I love to do that and as a matter of fact I think there will be some interesting projects coming up in a near future. I would definitely do that. I think following questions are on everyone is curious about. Do you also listen to music other than your genre? Tell us which one? As I said I get inspired by many different kind of styles and I try to be up to date with all kinds of music what ever it is. When not listen to Hard Rock/Metal I could listen to for example - Amanda Marshall, Pink, U2, The Police, Joe Bonamassa, 10 CC, Vivaldi, Foo Fighters, so you see it's a mess and mix of everything, haha! Here is a question from your Japanese fan who loves the melody you made. COLDSPELL was formed in 2005. What had you been doing after breaking up R.A.W. in 1997. He will be pleased to hear that. Last one more thing. 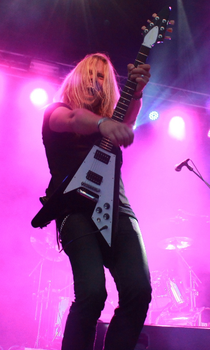 Most of musicians, especially in rock/metal, seem try to keep the body shape. Do you do anything for that? Wow! That's the best answer. lol Well then, Tell us about a next plan for the band? As we have released the new album just a few weeks ago there will be loads of promotion work to be done but we will update with shows/festivals for 2014 and we have just started to work with a European booking agency and the same goes for US if everything goes as planned. We will have a new video out before 2014 and some other interesting stuff goin on. But still waitin for an invitation from Budokan / Japan, think the invitation must have gone to the wrong adress or band. lol! That may be so. Thank you so much, Michael, for taking your time. Hope see you in Japan someday soon. Im the one to say thanks, many thanks for interest and support over the years, Fuchsia. Matane. 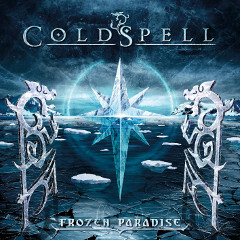 Click on an album cover artwork image to see more details of the album "Frozen Paradise".